End user experience monitoring goes hand in hand with Application Performance Management. To analyze the performance of your web applications, you require data on how your application parameters like availability, latency, execution correctness, and quality appear to the end user. Get accurate browser-user insights to optimize your users' web experiences across all platforms with Applications Manager. 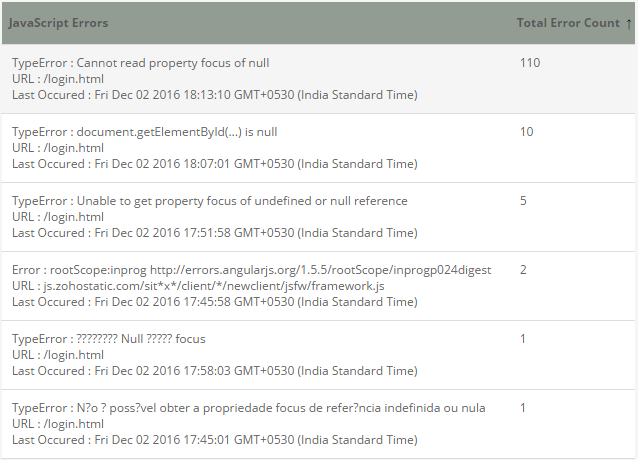 Use Applications Manager’s Web User Experience monitoring to optimize your user experience with powerful end-to-end performance management. Monitor the end-user experience of any web application, rapidly identify application issues with relevant business transactions, and dramatically reduce MTTR. Measure end user performance and availability of browser-based applications, see page views as they occur, average response times, throughput and geographic location of all requests received. 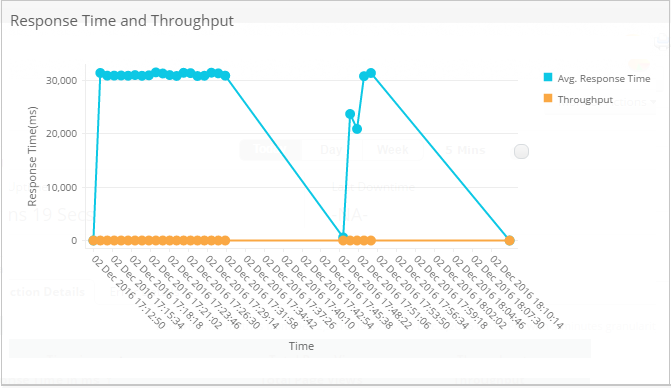 Get insight into app issues when performance falls below application SLAs. 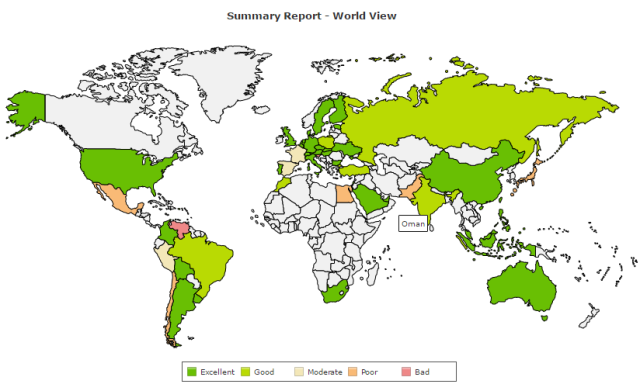 Get user satisfactions details from several geographical locations at a glance. Track Web transactions response time like where is the most time being spent and which transactions are the slowest. 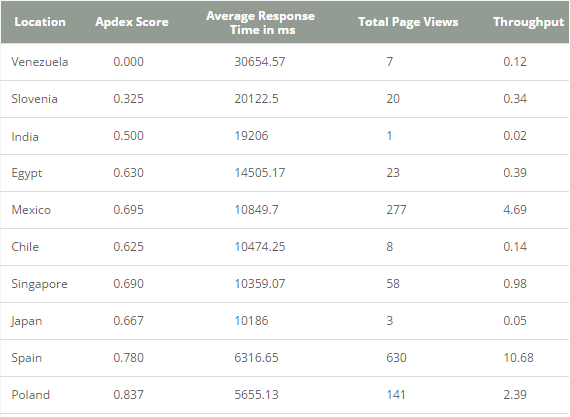 Use Apdex score standards to know customers' satisfaction details at your website and identify trends in across different locations. Know how many users had quick pageload times, how many experienced moderate latency, and how many were frustrated by the experience. 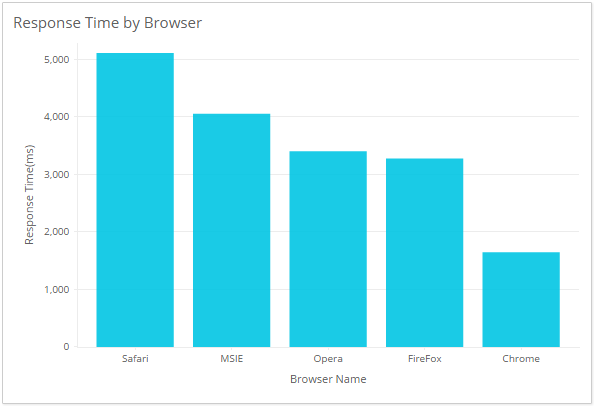 Know the impact of the various browsers and devices on the performance of your webpage. Monitor user experience and page load times on different devices, browser types, and browser versions. See whether your user's ISP is impeding the performance of your cloud application. Improve user experience by analyzing end-to-end transaction times and throughput for each client request.